I'm a 48/96 supporter and this is a good graphic. 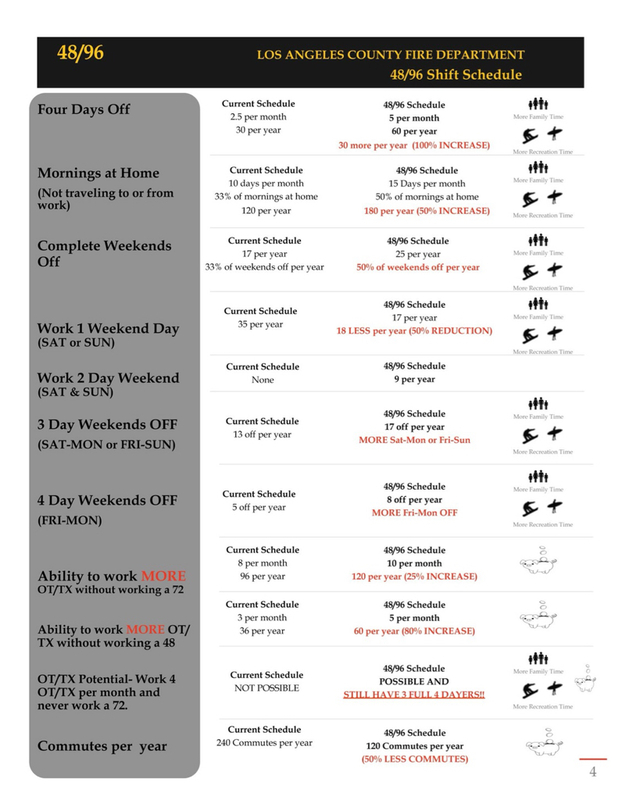 I think people's only main objection to this schedule is having to work the 2nd day after a rough 1st shift, correct? Where did they post this at? Sounds like obstruction from the Board to prevent the 48/96 from happening based on the long timeline. Also, it appears that the Board is siding with the minority (No voters). Would you call this good leadership? I’m the one that posted this factual timeline on the Facebook page. We as the 48/96 committee have kept a timeline of events on the progress of the 48/96 since it’s inception. The problem is we have a Union that is supporting their own agenda instead of the voice of its members. As you can see by our votes in the factual timeline it’s actually passed both times by simple majority. The last vote we had was railroaded by the Union and it’s board. 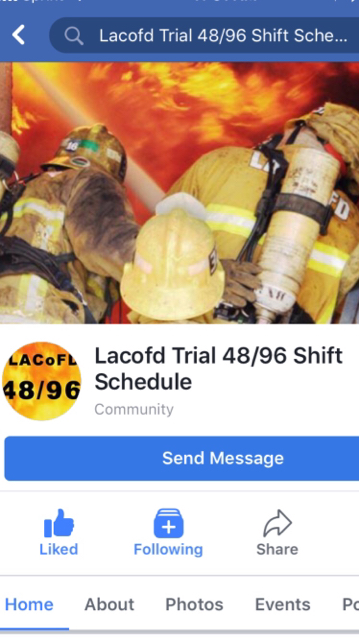 The Union refused to to send out the flyer we requested them to send out to inform the membership of the Pros/Cons etc of the 48/98work schedule then at the last minute changed the vote to a super majority of 50%+1 to take this schedule to a trial. With a super majority your numbers are based off the entire voting membership. Not just the number of returned ballots. So if you don’t return a ballot it is counted as a no vote. My question to all of you is what other department has used this type of voting threshold? Or have all the votes been simple majority? This would be interesting to find out!